When we were in Sweden and Angel was still a toddler at that time, there was a type of book that I really wanted to lay my hands on but it was just too rare to find - A bilingual English-Chinese book! In case you don't know yet, Mandarin is our spoken language in the house as I really want my kids to get acquainted with this language since young and hopefully grow up to be effectively bilingual. Now that Ariel is at the phase where she starts to love storytelling and is picking up more words every day, I'm constantly on the lookout for books which will help to expand both her English and Chinese vocabulary in a fun and interesting manner. My Home is a picture book and activity book targeted at children between the ages of 2 and 6. The picture book in particular is the only one in Singapore with bilingual English-Chinese content and lift-the-flap games! The book follows the story of little boy Jason, who wants somebody to play with him but everyone is just too busy. What should he do? Accompanied by his faithful dog, Blackie, Jason investigates every room in his HDB flat to find a playmate. Wait, did I just say HDB flat? Oh yes, of course! 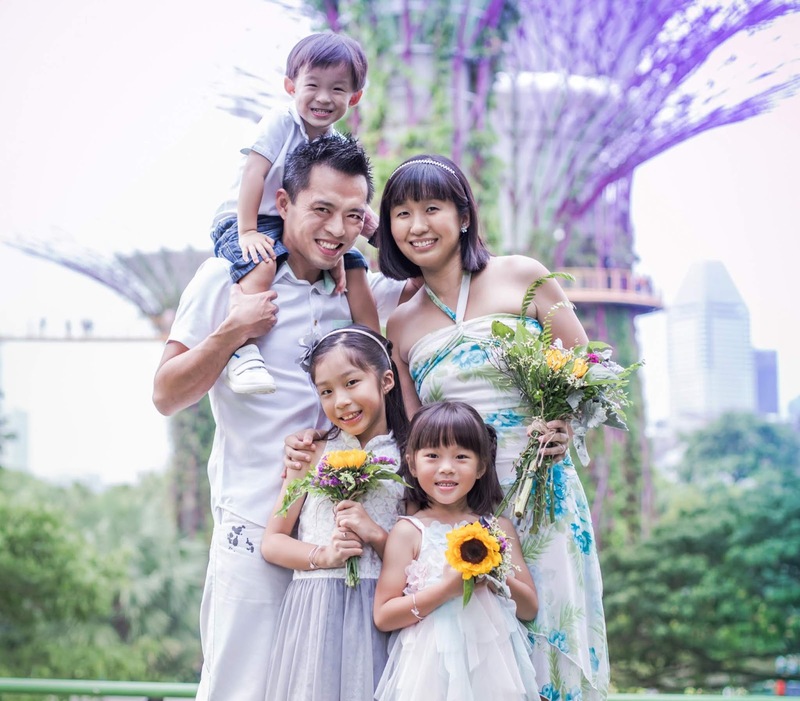 My Home is a locally-produced picture book and depicts everyday family life in Singapore. Don't be surprised to see familiar words and scenes like HDB, void deck, community centre, market (巴刹), neighbourhood playground and more! That is definitely something that makes this book very vibrant and unique. Personally, I prefer to read the Chinese words to my girl because they rhyme and are more fascinating to listen to. However, the first time I read it, I did find some of the word arrangement a little odd, for instance "妈妈正把妹妹抱, 待会儿得把奶粉泡". It's not grammatically wrong, just different from how we would usually phrase our sentences, like "妈妈正在抱妹妹, 待会儿得泡奶粉" which you can see would have totally ruined the rhyming of the ending words. I'm not sure about your child but mine totally loves to lift the flaps! Every single one of them. The fun part about the flaps in My Home is that instead of looking for a picture or word, it functions more like a game where you try to look for the answer to a question, for instance the one above tasks you to look for an object which dropped out of the baby's hand. The activity book has stickers, games, DIY activities, flashcards and revision exercises based on the contents of the picture book. I think that some of these activities are more suited for children aged 5-6, for instance some of the crafts instructions can be quite tough to follow and the words on the flashcards can be rather challenging too. One good thing about the book is that it comes with Hanyu Pinyin! This is a great learning opportunity for Angel who is starting to learn it in school this year. As for the toddler, her favourite activity was designing her own bedroom and pasting stickers all over! I like how the activity recaps about all the objects you find in different rooms of the house. What's more, the objects featured are the common ones that most of us can relate to and have them lying in our own homes too. That definitely makes it easier to teach the child and will benefit them in recognising and identifying more things in their environment too. Have you ever seen a crossword puzzle in Chinese? Quite interesting, right? If your child likes puzzles and games, then these fun-filled games and activities will be sure to keep him/her occupied and entertained. Lastly, I feel that that even though we want our children to be effectively bilingual, it is not advisable to mix and match our sentences in both English and Chinese till it becomes rojak (which seems very easy for a child to pick up)! It is better to communicate in either pure English, or pure Chinese, and then alternate between both of them, while letting your child understand that these are two different languages altogether. Let's all have fun learning! For more book offers, check out Wild Crane Press at www.wildcranepress.com. They are now having a 50% discount special promotion to celebration our nation's 50th birthday and local delivery is free for all orders above S$50. For those of you who will like to receive a set of My Home picture book and activity book, here's your chance to win! This giveaway is open to all readers with a Singapore address for delivery. To participate, leave a comment in this blog post with your name, email address and why you would like to win a set of My Home. Indicate in the Rafflecopter that you have done so and to increase your chances of winning, you can follow the rest of the options. Good luck! a Rafflecopter giveaway Disclosure: We received a complimentary set of My Home picture book and activity book in writing this review. Giveaway sets are provided by Wild Crane Press. All opinions are my own. I would love to win a copy of this interesting book and eencourage my kids to read and converse in chinese more often via the interesting story! 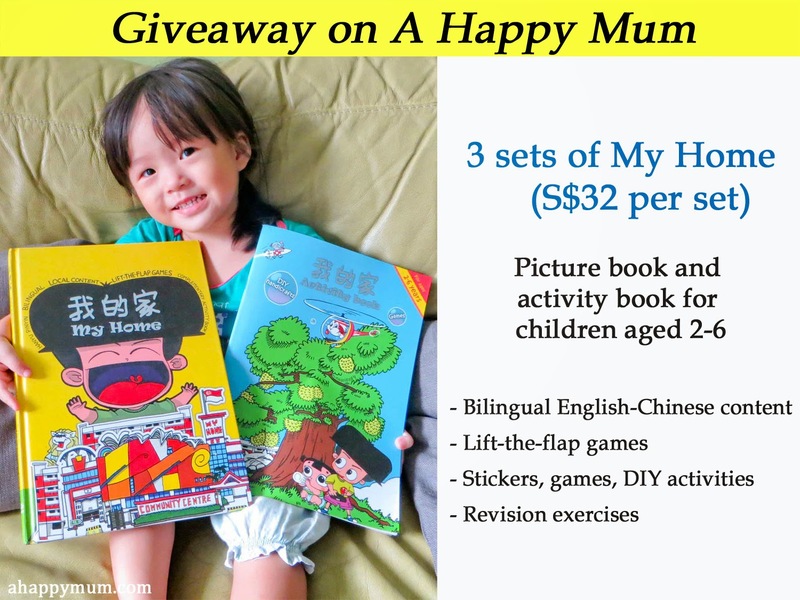 I would love to win this copy of My Home to encourage my little one reading both English and Mandarin version. 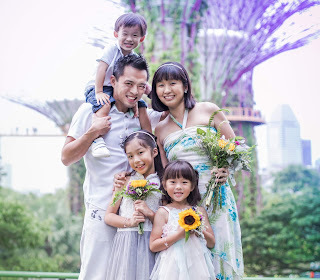 Like your family, Mandarin is also the spoken language in our family. I also hope to introduce interesting Chinese books to my boy and I think he will enjoy the activities in the book. This book would be a fun way to introduce our living environment to the little one. My 2 yr old has short attention span. Hope this intetesting books which is a close reflection of Singapore might interest her and get her interested in books. I love to read books to my boy, normally at bed time we sit down together to read with his stuff toys. We love exploring Chinese readings together since we don't do enrichment classes on it. I wanna win a copy of My Home cos it's difficult to find books that are bilingual and in the Singapore context! I love that MY Home is bilingual and I can't wait to lay my hands on the book so that I can read to my girl. Thanks. I would like to win a set of My Home for my children because it is very rare to find such well-illustrated storybooks set in a local context. I have been trying to introduce Chinese to my daughter after hearing that my friend's son who is at the age of 2 has already started to dislike Chinese. My Home books relate to our local context and it's easier for children to pick up the words if the books show something they see or have seen in daily life. Hope to win a copy of My Home to encourage and cultivate good reading habits for my 3 years old gal. This is also the right time to expose her to a wide range of reading books. Hope to win this to encourage my 3yrs old his younger sibling who tuning 1yrs old soon to like reading with these interesting books. Reading from young helps a lot for my son to b able to like good reading habits and also a great time to create bond between parents and children. same like you, if there is one thing i don't mind my children have more of, it's books too! Hope to win this for my boy to read. It's interesting that the book is full of local flavour. The kids will be able to relate better. Because I'm all for local publishing and because my kids really need help with their Chinese! I want to win for my kids. It's such an interesting book. It is fun and will help improve my children's mother tongue. Would love to win this for my child, it will increase her vocabulary for both Chinese and English. Love the activity book too! It's such a treasure to find Chinese-English books, especially when they're tailored to our local context. And with the flaps and activities in My Home, it's an added bonus! My 4-year-old will love making discoveries on every page and even my 1+ toddler will be able to follow the actions and stories. Picture and activity book in English and Chinese, bet my 2 girls will love it!